ONE OF THE many benefits of owning a music store, aside from staying out of the way of Sheryl doing most of the work, is getting to play with toys. We are slowly stocking up on stuff in the post-Christmas haze, and today the Roland AC-33 amp showed up. Designed for the acoustic guitar, it's not much bigger than a lunch box, and the tone is incredible. I'm not going to sound like a commercial. So I won't brag about the dual chorus feature (for both mic and guitar inputs), the anti-feedback button, line out, separate volume level for the aux inputs and a separate master control for the whole thing. I could take this amp out right now and play it anywhere - church, club, hall, street. So. I was wrong. This thing isn't a toy. 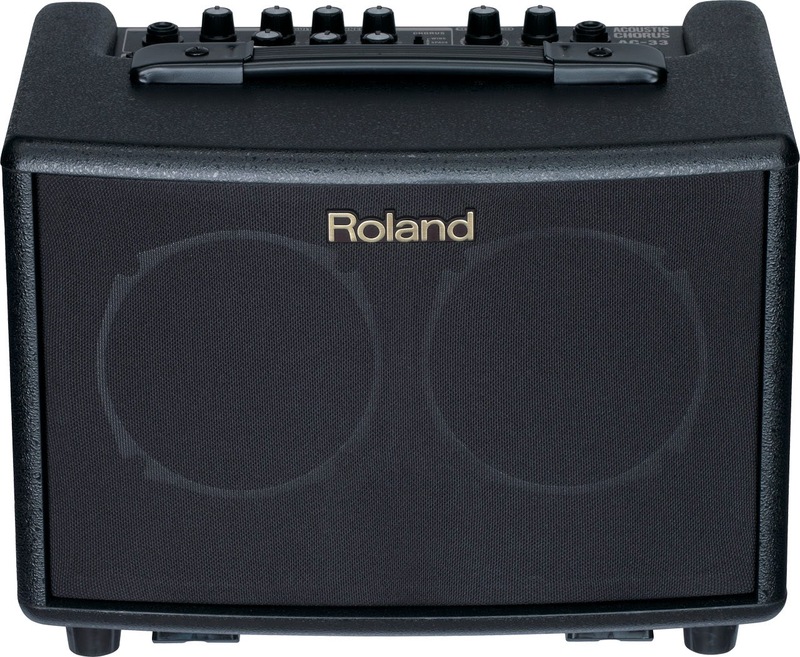 It's an amp for the acoustic player who wants to take it to the next level, recording or performance. And we match internet prices.